There was a point in the early 2000s when the shadowy group known as the Forge were emerging as Big Finish’s big, original, villain. It’s a concept that will be fundamentally familiar to viewers of Doctor Who after its return to television – a sort of dark version of UNIT; utterly ruthless in its methods and devoted not to defending the human race against alien threats, but to exploiting such technologies to empower the British Empire. But it’s the contrast to Torchwood that stands out when listening to these now. While Torchwood One gave us the natural businesslike extension of the concept of an organization for which busting interdimensional threats and exploring crashed spaceships were literally just another day at the office, and Torchwood Three gave us the sighing, grumbling, sloppiness of a team largely seeing it as ‘just a job,’ the Forge is full of howling fanatics and True Believers. Their main ‘hunter’ Nimrod is so given to pretentious monologuing about the nature of Absolute Power and Destiny that he’s frequently just short of ‘catharsis of spurious morality’ territory. He desperately needs the Doctor to puncture his pomposity with a bit of silly banter. That doesn’t happen in Project: Twilight, however, which sits squarely in the uber dark and gritty corner of 80s Who and has zero tolerance for any whimsy or even wit. From the moment the Sixth Doctor finds the gruesomely disembowelled corpses of cats and dogs in an alley, the tone is pretty much set for the rest of the story. Attempting to say something new about vampires, and explore moral relativity, Project: Twilight doesn’t really succeed in either regard. The coven of vampires lead by Reggie and Amelia are just so thoroughly and totally unpleasant – doubling as both creatures of the night and mob bosses – that their attempts to present themselves as victims of circumstance doesn’t really convince. Yes, the Forge may have infected them against their will, but their behaviour since is much more Near Dark than Interview with a Vampire (let alone the glittery remorse of Twilight). The Doctor’s agreeing to help with their experiments to reverse their condition is a little hard to accept, even as he tuts and sighs at their brutal methods. Even odder is quite how long it takes him to cop on that he’s working with vampires even after a couple of episodes working on the genetic code and blood (never mind people trying to kill them with crossbow bolts through the heart, trouble crossing running water and the rest). Weirder still, Evelyn asks him to check his white, male Gallifyrean privilege and confront his racism against vampires when… y’know... they kill and eat people. ‘You only dislike them because they kill and eat people’ is a deeply troubling high horse to choose to mount. And that’s before the not so shocking twist Amelia isn’t interested in a cure for anything but their weaknesses so that she can breed a new race of super-vampires with which to conquer and enslave the human race. Only Cassie, the single mother newly employed at Reggie’s casino the Dusk, comes across sympathetically. And by the final scenes of Nimrod promising the Doctor a future rematch, it sounds like not just a threat to the Time Lord, but to the viewer as well.Across all their ranges, there must now be the best part of five hundred Big Finish audios so they can’t all be brilliant. But that also just underlines that there’s no need for newer listeners dipping into the Big Finish back catalogue to listen to this. "We're responsible for everything we do, Val. Every book you've written for money that tells people what to think, every DVD you've produced for money that tells people what to change about their lives. Every speech, every assembly, every word - you don't get to do that and shrug away the responsibility." 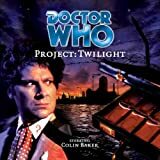 Upon learning of Big Finish’s successful acquisition of the Torchwood licence back in 2015, fans the world over – this reviewer included – immediately began drafting their personal wish-lists for the franchise’s impending audio continuation. What happened next after Miracle Day? Could Owen and / or Tosh return to the fold despite their demises in 2008’s “Exit Wounds”? Was it time to learn the fabled secrets of Torchwood Two? And no, seriously, when were we moving on from Miracle Day so as to get that failed US soft reboot’s sour taste out of our palettes? Perhaps the most pressing point on the agenda, however, was just how swiftly the studio could reunite Captain Jack Harkness, Gwen Cooper, Ianto Jones, Toshiko Sato and Owen Harper for any lost missions beyond those we witnessed on-screen in Seasons One and Two. Well, we’ve waited three years – the Owen-less 10th anniversary celebration The Torchwood Archive notwithstanding – to discover the answer, but it comes in the form of perhaps the range’s most satisfying boxset to date, Torchwood: Believe. Isolating his latest scripts from both the sinister activities of the Committee in Big Finish’s monthly releases and Cardiff’s present apocalyptic state in Aliens Among Us proves a genuine masterstroke on Guy Adams’ part. Rather than forcing newcomers enticed by the return of all five Torchwood Three members to hit pause and purchase past releases in order to decipher what’s occurring here, the regular range contributor delivers a totally standalone affair, albeit one which still packs no shortage of emotional punches thanks to further exploring many thematic and character strands first established in the original show. Part of what makes this approach so successful from the outset is how comfortably familiar Believe’s opening moments will seem to those fans who’ve followed the show in all its forms since Day One (episodic pun fully intended). At first, we’re presented with a run-of-the-mill debrief led by Owen into the ongoing exploits of the Church of the Outsiders, a seemingly innocuous religious cult whose efforts to hasten humanity’s ascent to meet – and interbreeding with – alien species include stealing classified UNIT data, dabbling in illegal cyber augmentation as well as setting up their own TV channel, community centres and full-fledged indoctrinatory academy. It’s a quintessential sequence that feels ripped straight out of the TV show, with each cast member helping to remind us of the lead ensemble’s witty rapport: Owen (Gorman) righteously assured of his every move’s necessity, Toshiko (Mori)’s reserved tendency to serve as the voice of reason, Ianto (David-Lloyd)’s still-growing confidence within the team dynamic, Gwen (Myles)’s often gung-ho attitude tempered by the personal grounding that she brings to the agency and Jack (Barrowman) as enigmatic as he is charismatic. So far so Torchwood, then? Clearly, we’re in for three hours’ worth of Avengers: Infinity War-style crossover banter, right? Not exactly. As Adams and producer James Goss accurately highlighted in the midst of Believe’s pre-release marketing campaign, the show – in its on-screen incarnation – would often split up the team to achieve different goals within the context of the wider mission, thereby allowing time to explore how each character’s individual passions and flaws affected their outlook on increasingly hostile situations. Indeed, the same rings true here as Ianto pairs himself with one of the Church’s devoted disciples to further investigate their goals, Tosh pursues the sect’s resident accountant Frank Layton (brought to life with self-titled and loathsomely complacent aplomb by ex-Doctor Who companion Arthur Darvill) and Gwen meets Church leader Val’s introverted daughter Andromeda, all while Owen oversees operations from the Hub and Jack heads off to pastures unknown. Yet to simply describe Believe as but a scattershot collection of plot threads which eventually converge would severely undermine the scale of Adams’ achievement, not least in challenging each member of the team with dilemmas the likes of which they’ve arguably never faced before. The Church’s interstellar ambitions resonate in extremely different ways for each of our protagonists, with Jack for instance earnestly admitting his yearning to travel the stars as he once did with the Doctor, Ianto – as with The Last Beacon in April – once again forced to consider whether his ties with Torchwood Three threaten to rob him of any soul, hope or life meaning, and most notably the show’s beloved unrequited romance between Owen and Tosh taking the most disturbing detour imaginable. For make no mistake, the scribe who showed us Suzie’s darkest inhibitions in Moving Target and took Gwen on a high-octane car chase with her local counsellor in More Than This has no qualms about taking further bold risks this time around either. Much as Gorman and Mori looked overjoyed to reunite their wayward almost-lovers when posting about their recording experiences on Twitter, the pair – both as actors and characters – are put through the dramatic ringer and then some here, Tosh’s efforts to extract any key intel possible from Layton about his supposedly selfless church-turned-charity soon developing into Children of Earth-level territory which could uproot her budding romantic tension with Mr. Harper forever. Think of a fall from grace on the scale of a Greek tragedy and you'll only just scratch the surface what's in store, as one of the pair colossally oversteps their reach to devastating effect. Thank goodness, then, that both stars knock the ball out of the metaphorical park with captivating, psychologically intricate and often downright heartbreaking performances. We’ll avoid spoilers here for the sake of preserving your listening experience, save for that the Tosh-Layton storyline builds to an extremely unsettling crescendo, to a place where this reviewer isn’t entirely sure even the TV show would’ve dared to tread on BBC One / Two / Three. Heck, Big Finish themselves rarely tend to stray into territory as macabre as this, barring some of their early Doctor Who Main Release excursions like Colditz or the Doctor Who: Unbound range, but when the results are so painstakingly powerful and haunting as this, one almost wishes that they’d take the leap of faith more often. Such narrative ambition on Adams’ part doesn’t end there – it pervades Believe on a conceptual level as well. 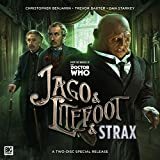 Ever since juggling verbose duck companions with religious satire in The Holy Terror, Big Finish have shown their complete willingness to interrogate faith, its cathartic and chaos-inducing consequences for its followers / opponents, as well as whether anyone has the right to brazenly dispel theistic beliefs. Believe takes this contemplation to another level altogether, as Jack’s met with the profound existential dilemma of knowing that the Church’s desire to have humanity mingle with aliens will eventually come to pass, while Owen considers whether he’s fuelling the mission out of mere ego or indignation at religious groups’ naivety surrounding the afterlife, and Ianto undergoes an epiphany surrounding that aforementioned intervention by Torchwood into the beliefs of others without any consideration for the victims left behind come the mission’s denouement. Rhian Blundell's superb work as Ianto's endearingly sincere and passionate guide Erin helps immeasurably in the latter regard, with her and David-Lloyd's characters striking up a quaint college romance of sorts that won't fail to take even the biggest Jones-Harkness shippers off guard. Two questions might justifiably have occurred to readers of this review by now: why didn’t Torchwood Season Two’s final episodes make mention of these character moments if they’re so pivotal, and where does the inevitable alien antagonist factor into processes? Let’s tackle those in linear order – unlike Believe’s refreshingly non-linear structure, with Episode 1 in particular zipping cleverly between Owen’s initial debrief and each teammate’s consequent mission. Considering that Adams’ exemplary three-part tale situates itself explicitly between the events of “A Day in the Death” and “Fragments”, that it’s so intent on progressing arguably unresolved threads from the show such as the extents of Tosh’s loyalty, Ianto’s increasingly challenged worldview and Jack’s tendency to withhold the truth even from his comrades might stretch the credibility of its status as a ‘canonical’ in-between-quel for some. Nevertheless, just as some of Big Finish’s finest Who productions took slight liberties with continuity in the name of ambitious storytelling, so too does Believe admirably follow that route so as to truly test our perceptions of these evolving characters in fascinating, often remarkably unsettling ways. That also brings us onto its aforementioned extraterrestrial presence – again, staying clear of spoilers, Torchwood’s finest hours frequently arose from dealing with the worst of humanity rather than alien foes, which affords Adams the creative licence here to pit the team against fallible but equally rational members of their species whose sympathetic motivations only further the personal stakes for both factions. So in spite of bringing together the Famous Five as well as temporarily restoring classic elements from the show such as the fully-operational Hub and – of course – the SUV, Torchwood: Believe fast cements itself as anything but your average all-guns-blazing detective drama. There’s no denying that its audacious character arcs, unspeakably heartrending performances from Gorman and Mori, and realistic shades of moral greyness will result in a challenging listening experience for long-term fans, but those elements also set the boxset apart as an awards-worthy tour de force in truly provocative science-fiction. Between the masterful Beacon and the game-changing Believe, 2018 could be the year where everything changes for Big Finish’s Torchwood range; if that’s the case, then one thing’s for sure – Guy Adams and his entire lead cast are ready.